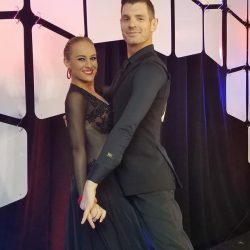 Booth Dancesport was proud to send three dancers to the year’s U.S. Dance Championship in Orlando, Florida. Janet, Sherri, and Jordyn– you are beautiful and amazing! Honored to have you represent Booth Dancesport with Tim Merz. Thank You to Everyone Who Came to Relaunch Week!